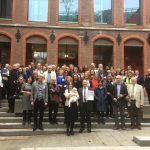 MOCHA held its final conference on 15th and 16th November, in the University of Leiden at The Hague Netherlands. The event was very successful and well attended. 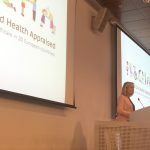 The conference was opened by Professor Mariëtte Bussemaker, former Education Minister, Netherlands; who has a background in paediatrics, and drew parallels with the holistic requirements of education and primary care in caring for children in every respect. 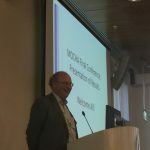 Dr Martin Weber, Head of Programme Child & Adolescent Health, WHO European Region also addressed the conference, stressing the need for robust information about child health services and models to inform health policy. Presentations on the MOCHA themes and main findings were given by project researchers and country agents, followed up by interesting discussion and thoughts on the next steps for this work. A comprehensive conference report describes the main findings and research work of the project, giving an in-depth commentary on the achievements of the MOCHA project, and directions to the technical deliverables and research outputs from the project.